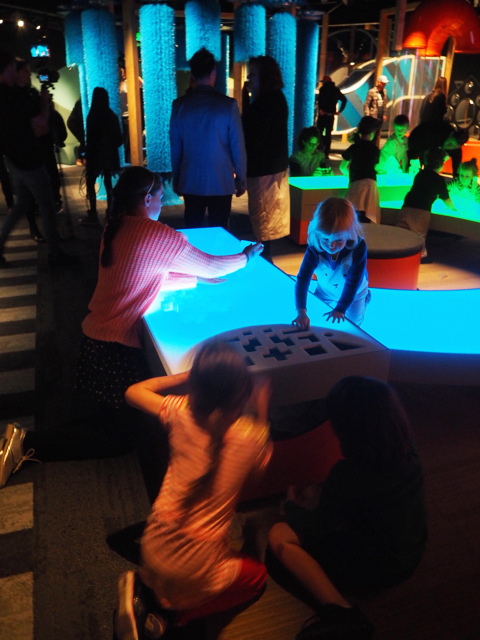 Kate and her littles ones went along to experience the $2.5 million STEM (Science, Technology, Engineering and Mathematics) exhibition which focuses on construction to introduce small children to real world skills in an unreal space. Children are encouraged to tinker to develop problem-solving skills and shown that there is no one 'right' way of doing something. Australia’s international ranking for achievement of students in maths and science has declined over the past 10 years. Girls, in particular, are excluding themselves from advanced maths and women remain dramatically underrepresented in STEM fields, with only 14% of engineers and only 25% of information technology professionals. Ground Up: Building Big Ideas, Together invites young children and adults to think, try and creatively problem solve. Experiences are designed to be intuitive, instruction-free and open-ended. Children and their carers can tinker, design, build and test with shapes, lights, balls, and large-scale imaginative machines. In this screen-free space, technology skills are flexible and multi-dimensional. Look out for the 7m tall Kinetic Sculpture as you enter, all about the concept of working machines! The exhibition is divided into three broad age and activity zones however kids can still walk around the whole space. The three areas are The Baby Landscape, The Tinkering Zone for toddlers to 3 year-olds and The Collaborative Zone designed for 3 to 5 year-olds. FIRST ZONE - The Baby Landscape Zone is a quiet and safe space created for babies and crawlers. It has nooks and mounds for climbing, a moving overhead light display and spinners to show little ones how different materials move. SECOND ZONE - The Tinkering Zone for toddlers to 3 year olds engages children in open-ended activities which encourage them to experiment and test their ideas. The Foundational Coding area is a screen free activity that develops skills such as cause and effect, sequencing and pattern making. 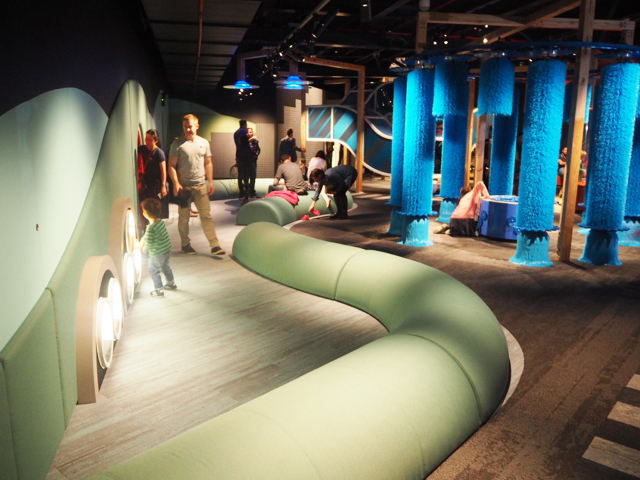 The Flight Tubes area invites children to create contraptions to fly in huge wind tubes. 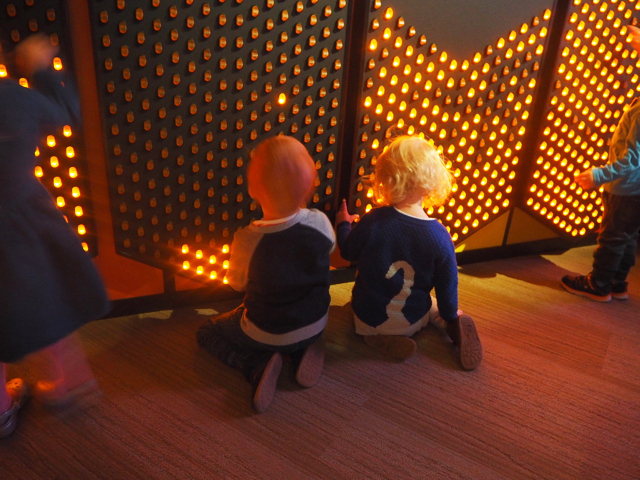 The Light-up Switch Wall is a wall featuring 1,376 light switches which children can turn on and off to develop deductive thinking. THIRD ZONE - The Collaborative Zone designed for 3 to 5 year olds is an active, physical space where children use communication and social skills to solve problems and achieve results. The Car Wash where children use gears to activate giant blue car wash brushes, learning that small movements can have a big effect in large environment. The Hub is a large climbing challenge with an interactive ball run. The Build zone is based on the much loved exhibit from Nitty Gritty, children can work collaboratively to build walls with foam blocks using conveyor belts, pulley-systems and wheelbarrows. All that problem solving will keep your little ones busy for hours - you can see why Ground Up: Building Big Ideas, Together will be a very popular space moving forward! We are sure it will influence little visitors and will hopefully encourage them to take part in STEM (Science, Technology, Engineering and Mathematics) fields. Join in the festivities and be one of the first to discover Scienceworks’ brand new exhibition by attending the Little Kids’ Day tomorrow on Monday 4th December. It will be a fun day especially for kids aged 5 and under, their parents and carers. More info on their website. To celebrate this fantastic new exhibition, we have 5 STEM prize packs to giveaway! Each pack contains 1 family pass and a Ground Up stationery kit. To WIN, head to our Instagram page, follow us, like our Ground Up post with Dot as shown below and tell us which zone you believe your little one(s) will love the most. Tag a friend or more for extra entries! Entries are now open and close Sunday 10th December 2017 at 5pm AEST. Entries open to VIC residents. Good luck! Not associated with Instagram. 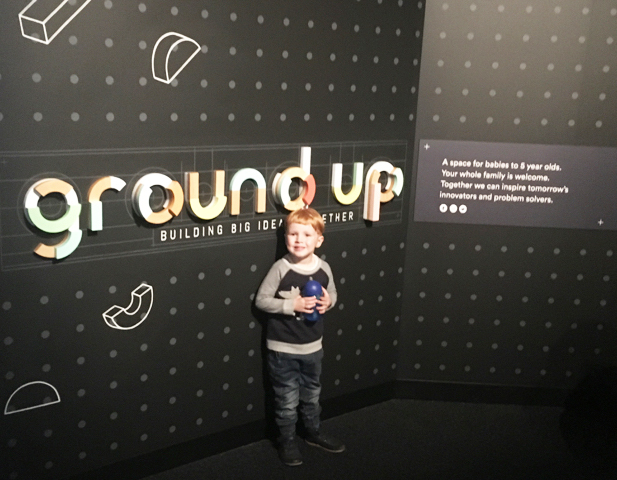 'Ground Up: Building Big Ideas, Together' opens at Scienceworks on Monday 4th of December. For more information, head to their dedicated website.